Yesterday was the Blackhawks first preseason home game. In celebration of their first win, with many more to come, I wanted to post a picture that I got from training camp. 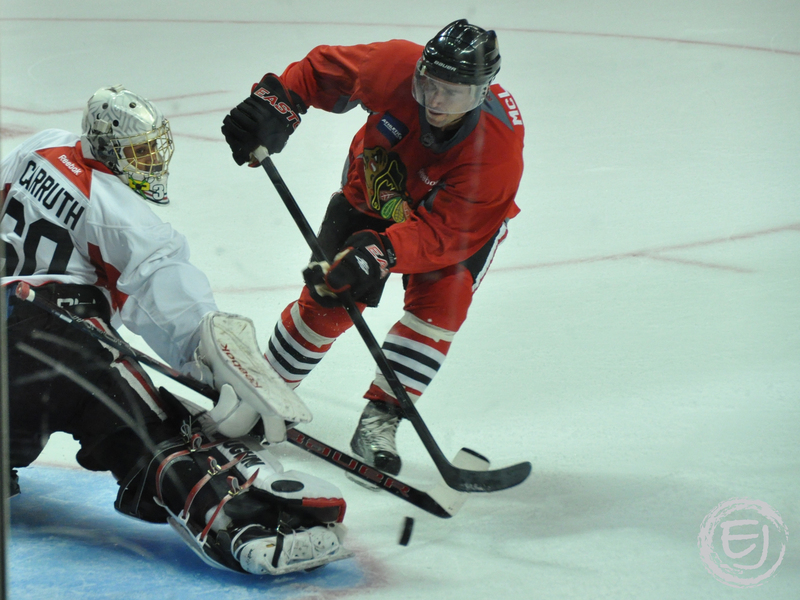 McLeal faces Mac Carruth in a shoot out after a scrimmage game during Training Camp. This entry was posted in Blackhawks, Chicago, Sports. Bookmark the permalink.